When someone you loved passes away, it is a very painful time for whole family and friends; however, it can be even more difficult if a loved one passes away while away from home. At Caribe Funeral Home, we provide national dead body funeral shipping from any city in Delaware to any place in United States or over sea. Our funeral directors want to make the grieving process as painless as possible for you and your family members by providing a way for your loved one to return home to his or her final resting place. At Caribe Funeral Home, we are the leaders in Mortuary shipping in Delaware. With office locations in Brooklyn New York next to JFK International airport. We can transport human remains within couple hours to any place in Maryland or we can come and pick up any place in Delaware and bring anywhere you wish, our funeral directors can quickly make arrangements for your loved one to get home to you. Also our funeral home can provide traditional funeral, direct cremation, gravesite burial at low cost. We can work with your budget. Fill free to contact Caribe funeral home for more information about our funeral shipping services to Delaware and shipping services from Delaware, call us today at 718-444-1212. 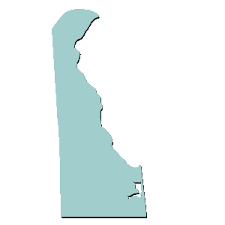 Delaware, a small Mid-Atlantic U.S. state, sits on a peninsula marked by dune-backed beaches bordering the Atlantic Ocean, Delaware River and Delaware Bay. In Dover, the capital, First State Heritage Park encompasses 18th-century Colonial landmarks like the Georgian-style Old State House. The city of Wilmington is known for the Riverfront, a waterside district of parks, boutiques and restaurants. Capital of Delaware is Dover. Abbreviation of the state name is DE and population of 961,939 recorded in 2017.